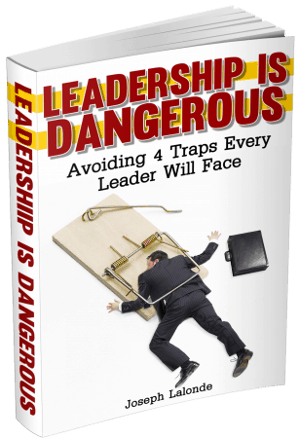 Leading in the world can seem to be a complicated matter. You don’t know how to speak up or share your faith. Or maybe you think you can’t. But you can. 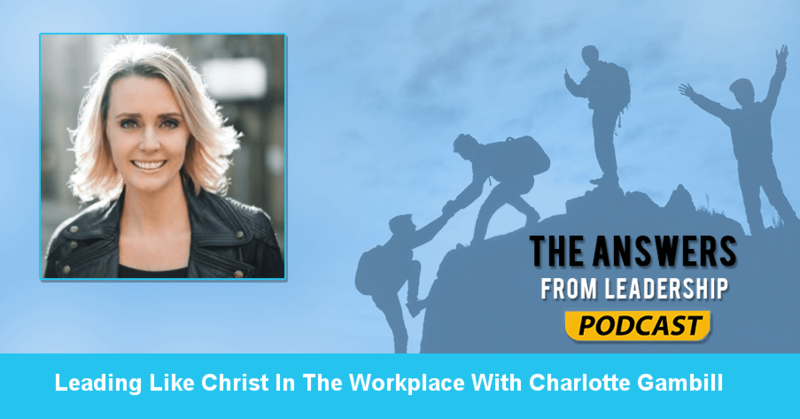 And that’s why I’m excited to have Charlotte Gambill on the Answers From Leadership podcast today. She’s going to share some things you can do to lead like Jesus in the workplace. Charlotte leads LIFE Church, UK in England with her husband Steve. Charlotte has a deep love for people and a zealous love for God’s house. Her passion is to build the local church, see people reach their full potential, and to develop and strengthen leadership. I’m bilingual and we have 2 great kids back in England. I think if someone is following you, then you’re a leader. If that’s a small bunch or a large bunch, I think leadership, that at some level, we all have a responsibility for. Leadership is not a badge, it’s not a title, it’s not a microphone. It’s a decision that we make to become that in our society. How would you say Jesus or the church plays a role in leadership? It is essential. If we’re going to be different or shape our culture, then we’ve got to get Jesus back to the centrality of our leadership. Jesus was the ultimate leader. He dealt with opposition. He dealt with those who didn’t agree with what he said. And he dealt with young leaders and the old leaders. He led in all the different spheres of leadership. Speaking of why what is your why? I think that changes over time. For me at the beginning, I had a deep love for the Word of God and I wanted it to be something people had a deep love for. I’d seen it taught badly. I’d seen people use it to bash people over their heads. When I first started to begin to teach and speak, it was to let people know this book is life. As I grew and developed, I began to have this huge passion to see God’s kingdom built. And built well. To put tools in leaders hand. How to lead well. That became a passion of mine. Now, with kids, I have a new why. It’s the whole generation and having them step into something they love. Your why keeps growing and progressing but you always have to come back to your why. Now, I know you lead in the church world. How can people take Jesus into the business world? I think it’s the same. Whether it’s the church world, business world, school world, college world… If Jesus is part of your life, he’s part of YOUR life. He’s not a bolt-on. He’s not something that comes out of the closet on Sunday. You don’t have to throw the Bible down someone’s throat to prove you’re a Christian. It’s the way you work in your business. It’s super easy to take Jesus into the workplace. We make it complicated. Where do you think the complication of bringing Jesus into the business world comes from? There are 2 reasons. We can be scared. The other reason is we like Jesus to be complicated. Because if He’s complicated it gives us an out. When we make it simple it’s hard to be disobedient. If we keep it complicated we can say we can’t do that. Everyone can be kind though. What’s one book you’d recommend for a young leader? Well, I’m going to say the Bible first of all because I don’t think enough young leaders read the Bible. They want a quick fix from a guru that’s been and done what they want to do. And then they’re going to try and apply those principles. That’s great to have wisdom and books are great but we’ve got to come back to where you are with God. Where’s your life at and how much do you know who Jesus is? The Bible is the founding book I’ve built my life on. I would just say be who God made you to be. Sometimes we get caught in the cool camp and that becomes kind of how we dress and define ourselves. We need to get back to that place where we’re comfortable with who God called us to be. Charlotte also mentioned her book Identity. Question: Are you leading like Jesus in the workplace? What needs to change if you’re not? Share your insights in the comment section below.